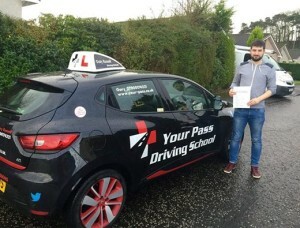 Review: Passed my test all thanks to Gary, couldn’t have done it without him. The thought of driving used to terrify me, but Gary made me relax, feel comfortable and pushed me to believe in myself. He is so patient, and passionate about what he does. Thank you and continued good luck to your excellent driving school. Review: Genuinely could not recommend Gary enough. Made me feel so at ease and confident behind the wheel, I passed my test in no time at all. The electric car is an absolute dream to drive which made it all the more easier. Wouldn’t look anywhere else for an instructor!! 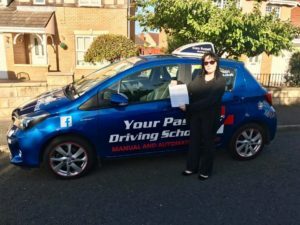 Review: After 5 previous driving instructors and sitting my driving test 3 times all in a manual car i decided to give automatic driving a go. After much thought and speculation I thought well i have nothion to loss! Yes! it was abit of a gambel as i had spent ALOT!! of money on previous leassons with other instructors but one that very much payed off! Now I dont know if i just got lucky in finding a excellent instructor or if it was due to the fact that I found Automatic driving so much better suited to myself but i think the reasson that I passed the Automatic test first time was down to HOW!! I was taught. Gary is by far the best instructor I have had. His teaching skils are spot on! He is very relaxed there is no presure put on you as the student. Even when you make a mistake or a bit of a hick up its all a learning curv when you are in the car with garry. Iv never had someone teach me manuvers the way garry did. He really does simplify everything down so that they are really easy to learn. I am currently in the proccess of saving for a car. Yes automatic cars are more exspensive but if you really want!! to drive or need to.. and given you have the opportunity and the money to save for a car… I would highty recomend automatic driving for what ever your reasson may be. Mine being the due to the fact I have dyslexia and i cant proccess imformation at the same speed as a non dyslexic person. People will say manual is how u should learn! Dont listen to other people do what is right for you! Review: Gary was absolutely amazing with me while learning to drive with Your Pass. Not once did he show annoyance or frustration when I made a mistake; instead he always offered encouragement and advice for how I could do better next time. I passed first time with Gary, only getting 1 minor fault and I would 100% recommend him to anyone who wants to learn to drive. He is a very professional driving instructor who I cannot thank enough. Review: I cannot recommend Gary enough….He’s a fantastic driving instructor and I wouldn’t have passed without him. He ‘teaches” you how to drive he doesn’t “tell” you! He’s worth every penny and more. Review: Gary is a fantastic instructor. A really decent guy who will always give positive feedback first so you don’t feel disheartened if you’ve made mistakes. 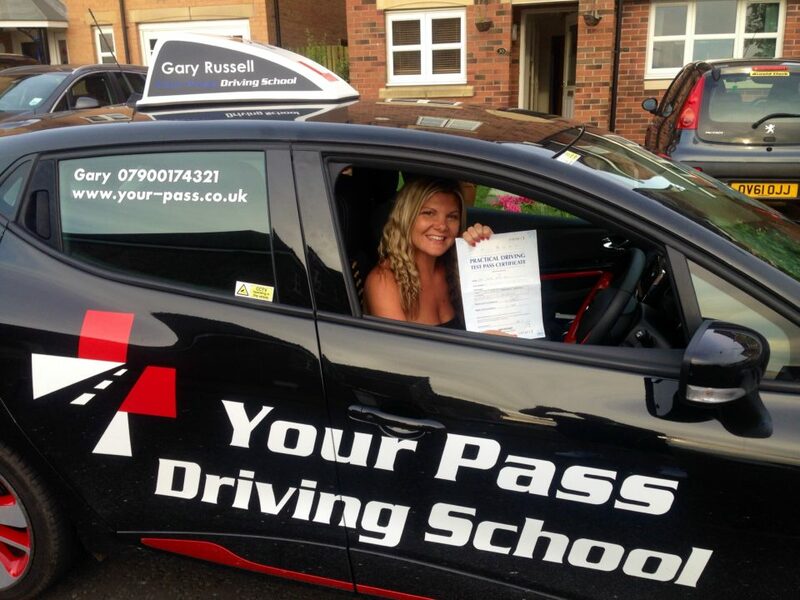 I would thoroughly recommend Gary to any learners & am so grateful he got me through my lessons to a pass. 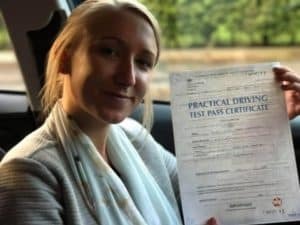 Review: I never thought I would ever get my driving license till I started to learn with Your Pass. I had previously been driving a manual and it had been going nowhere and my confidence in my driving ability had really dropped. Gary is qualified and is really clear on his delivery whilst teaching he also has a laugh with you, which makes lessons enjoyable. Would recommend to anyone who wants to pass their driving test and when they have passed they feel they’re a skilled driver. Review: Gary is an incredible instructor with the patience of a saint. 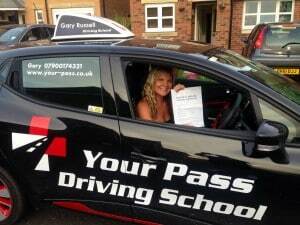 Never thought I would pass first time but Gary has made that possible. Friendly, always encouraging and puts you at ease. I’m still buzzing after passing. Brilliant. Review: Gary was (and is) an amazing instructor. I cannot fault his methods one bit. He taught me in my own car which was also fantastic. I do not think that i would have passed yesterday if it wasnt for gary. Thankyou mate! 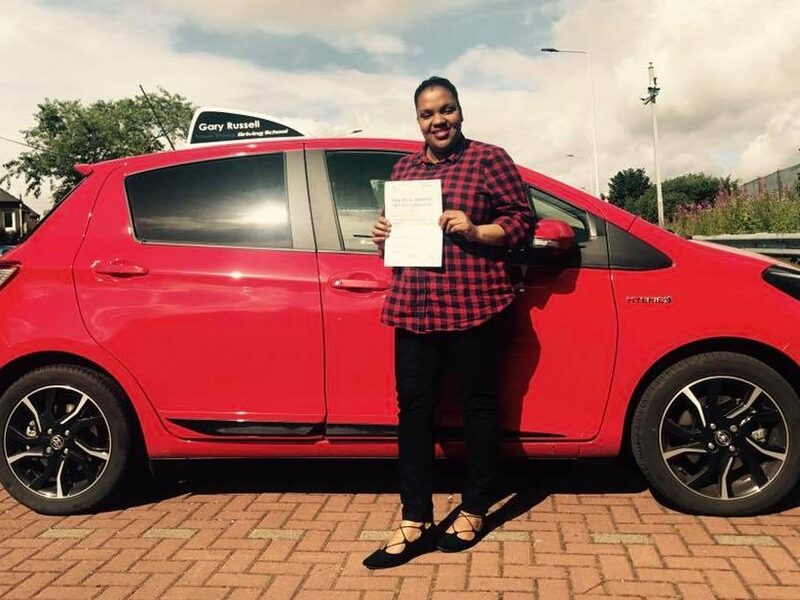 Review: Congratulations to a very pregnant and very camera shy Safia passed her driving test with only 3 minors on her very first attempt!! Review: I had narrowly failed a couple of tests in a manual car years ago, and decided to try again with an automatic and after a quick google found Gary and Your Pass. From the first lesson I was made to feel comfortable, encouraged not to be nervous and helped along in the most supportive, calm and reassuring way. 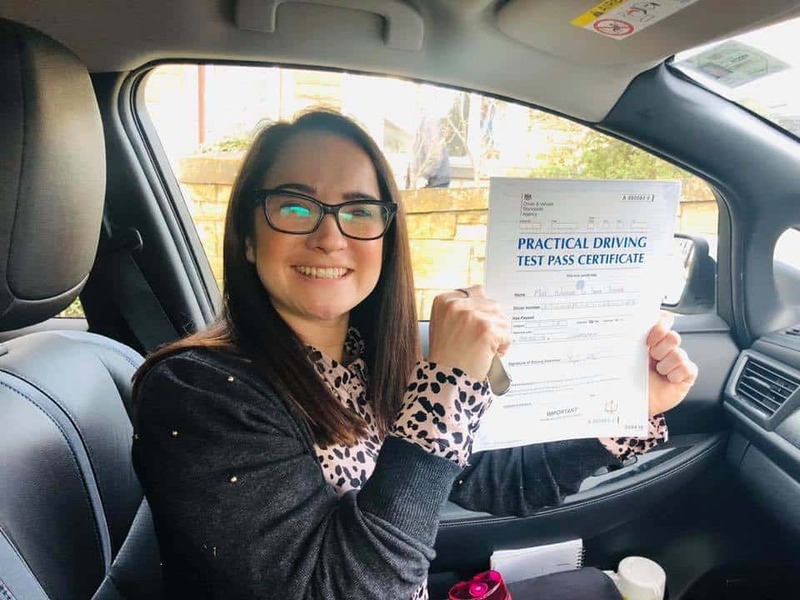 I left that first lesson with a big smile on my face, wanting to get back in the driving seat again…and this is a feeling I had never had before! Gary is ace. He doesn’t go off on a tangent, he sticks to giving you encouragement, positive reinforcement and helpful tips in order for you to feel comfortable and confident. His videos are brilliant as well. I would not have passed my test if it wasn’t for Gary. I thoroughly recommend Your Pass to anyone who may have felt a bit nervous about driving in the past. Give it another go with Gary and you wont regret it!! Review: Gary is by far the best driving instructor around. He is so calm, patient and reassuring and makes you feel so relaxed driving. I’ve had quite a few different driving instructors and have always given up on my driving when approaching test time but thanks to Gary I had lessons with him, booked my test and passed first time!! His videos are also extremely useful and were a great help to me. Thanks again Gary!! 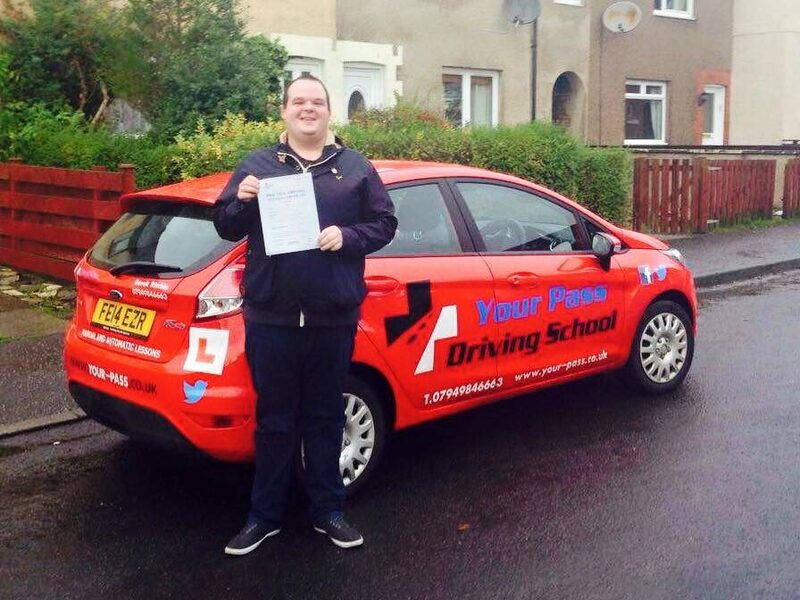 Review: Due to being rubbish in a manual car I took lessons with Gary! He was super calm and relaxed even after I told him all the crazy stuff I don’t on manual lessons! After only a few months with him I passed! Can’t thank him enough!! Would extremely highly recommend. Thank you for believing in me gary and for helping me pass my test wish you all the best in the future . 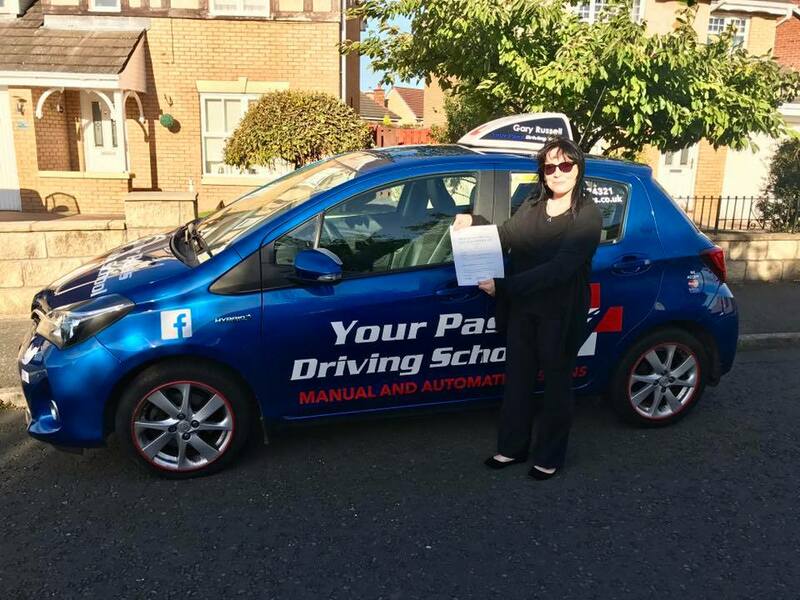 Review: Found Gary an absolutely fantastic instructor! I now enjoy driving and feel confident behind the wheel. The online videos were particularly useful and I would highly recommend using them! I happened to use them to go over the routes I felt less confident with before my test and ended up on one of the round abouts I had revised prior that day! Great instructor, great school, could not recommended him highly enough! Review: After driving for 34 years in the States I well challenged Gary! He taught me s completely different style of driving ( once I’d learnt to slow down!) He was calm, very patient and his feedback was both honest and constructive. We also had lots of laughs and not always at my mistakes. I feel so very fortunate to have had such a great instructor. It’s a week since I passed and I miss Gary already. Review: Just passed my test fist time and a great big thankyou to gary for being an amazing instructor. Very patient and gives honest feedback after each lesson. I will definitely recommend yourpass to anyone. Thankyou again gary. 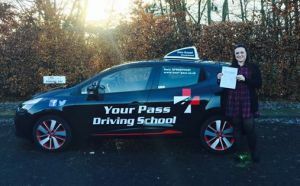 Review: After not having a professional driving lesson in 16 years my confidence was in need of a little TLC. Even after my first lesson with Derek I found that I had more self belief that I had initially realised. Derek has a lovely relaxed teaching manner, he is easy to talk to, professional, reliable and provides constructive feedback. I never really had the passion to learn to drive, but very quickly I began to enjoy driving with Derek and felt a real sense of achievement. It has now been over a week since I passed my test and you can’t keep me out the car!! 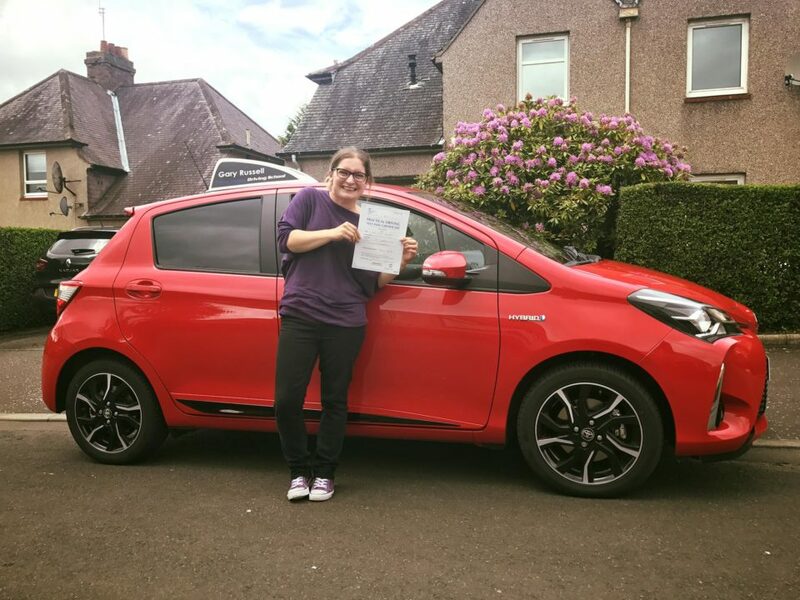 I would recommend Your Pass (and Derek) to anyone looking to start driving lessons without hesitation – in fact I already have! 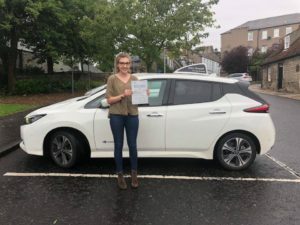 Review: Millie had an amazing result, passing her driving test not too long after being involved in a bad car accident whilst in a friends car. This didn’t put her off though, made her more determined and with the help of Gary in the Automatic car she gained her licence! Very well done. Review: My experience with Your Pass couldn’t have been better. Derek and rest of the team are genuinely great at what they do, and leave you 100% confident with a broad range of skills, and knowledge of safety. They’re everything you need in regards to training. Those thinking about driver training shouldn’t hesitate to contact these guys in particular. They ultimately build you to success with talented teaching styles. Derek made me so confident in what he had taught me, that the fear and nerves which are common before tests were eliminated due to the confidence in my abilities he had passed down to me. I passed first time without a doubt in mind. Review: Gary was extremely patient and took me through everything step by step. Nothing was ever a trouble and his attitude towards everything was just fantastic! (Even on my bad days!) 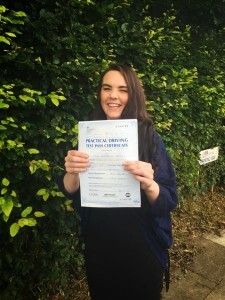 After failing my first test, Gary quickly picked me back up and I passed my second test in no time (after a trip to Disneyland to console myself) A year ago I was scared at even the prospect of driving and now I’ve passed and I’m confident in my own driving abilities, and its all thanks to Gary and Your Pass! 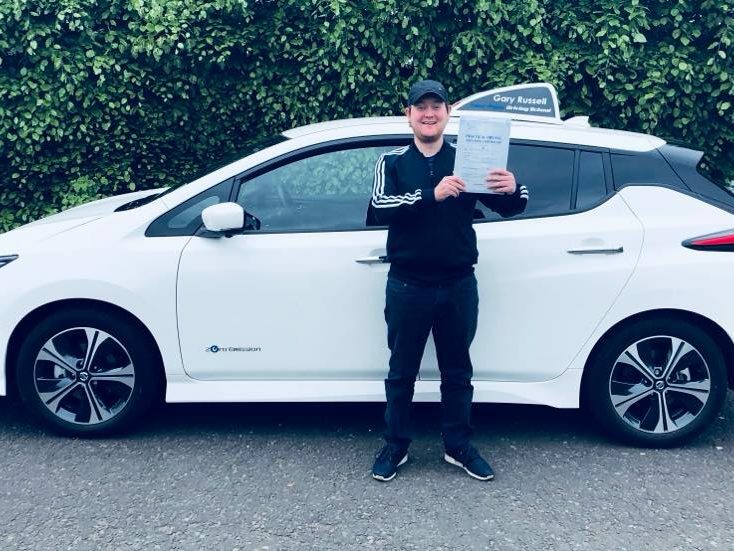 Review: A HUGE thank you to Gary for being the best instructor I could have ever asked/wished for, he was patient, caring, honest and made each lesson fun 🙂 Gary was my 3rd instructor and he was by far the best & I so wished I had went with him in the beginning. He had an understanding of my needs which helped me learn & that in turn gave me so much more confidence to drive efficiently. I couldn’t have passed my test without his guidance/support. 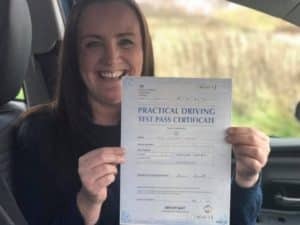 I would most definitely recommend Your Pass for anyone looking to start driving, especially Gary – you won’t regret it. Thanks again Gary; keep in touch. Review: I have thoroughly enjoyed every lesson I have had with Derek. At the very beginning, I was nervous. But started to grow out of it. I did have my good times and my down periods which some did hit me. But that, overtime made me realise, I would get to the stage of being a consistent driver which did happen. Look where I am now. Passed my test first time, which I’m still so proud of achieving. That is all because of Derek. He was patient, and worked with me to get to the stage where I am just now. He would go over things in detail and tell me why I had did things wrong which was excellent. Also putting in the extra hours, paid off! Anyone who wants to learn to drive manually, I’ll be sure to recommend Derek. Also recommend Your Pass as a whole. He’ll get them to where they need to be. All my thanks goes to Derek! Review: Mark was absolutely fantastic. Great guy who made me feel very comfortable and relaxed and was able to have a laugh, he couldnt have been anymore helpful and is solely in it for the good of the student. Thank you so much Mark. 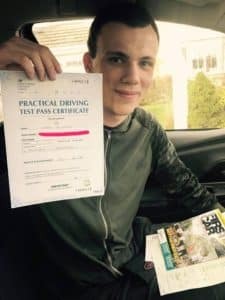 Review: Faultless driving instruction, I would highly recommend Your Pass, mastered reverse Park in one lesson with Gary’s method. Thanks Your Pass. Lesson Type: Manual Review: I had an amazing experience learning to drive with Derek. He was very good at explaining things and I felt I had a good understanding of all areas of driving. He was really helpful talking me through manoeuvres and he always let me know what I was doing well and areas I still needed to improve. He was very relaxed and he is very funny so it was a joy to learn with him. I would definitely recommend him to anyone! Massive thanks to Derek for putting up with me, I couldn’t have asked for a better instructor! Review: I would highly recommend Gary, very patient and put me at ease every lesson. He made driving lessons enjoyable. Also very honest! I never ever wanted to drive and now i enjoy it! Thank you for everything you done and for your patience with me. 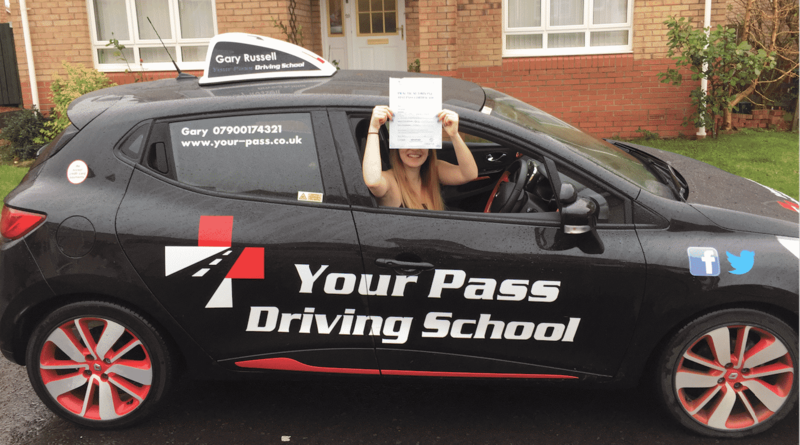 Review: I’d highly recommend Your Pass Driving School, Gary is an amazing instructor, he makes you feel comfortable and his honesty meant a lot when it came to talking about my driving performance. Not only was Gary so helpful but the your pass website was also useful with all the video that are up this helped me when it came to preparing for my test! 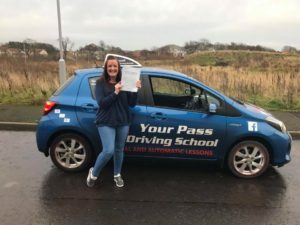 Garys advice and methods of teaching were easy to adapt to and if anyone is looking to start lesson Your Pass Driving School is definately worth it! 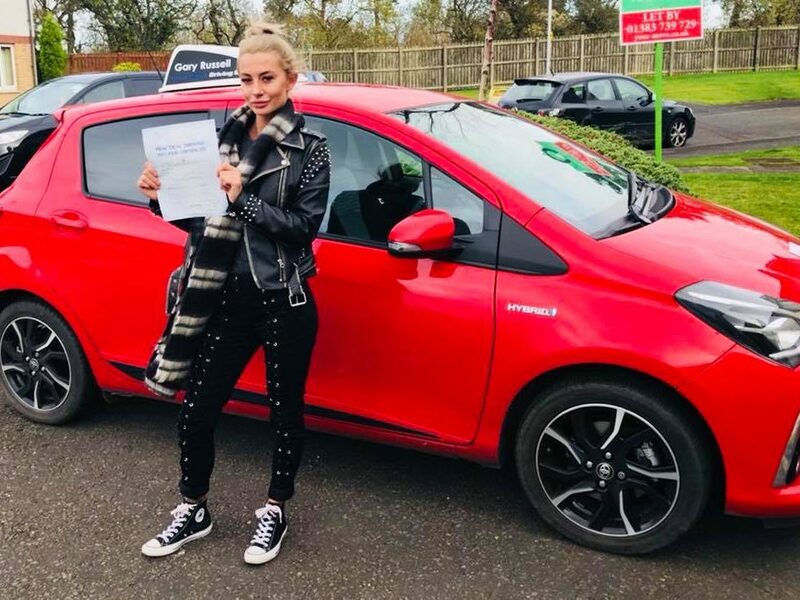 Review: After having to transfer instructor I was highly advised to start taking lessons with Your Pass Driving School and the reviews were excellent. That’s when I decided to approach the company and I met Gary. He made the transition between instructors and car very smooth. His laid back attitude meant that I learned to relax while driving and this gave me the confidence of knowing I could pass my test. With the advice I received, the feedback I got and the learning I did it is an understatement to say that Gary is good. He is an amazing instructor!! So I highly recommend learning with Your Pass Driving School!!! The other reviews and success stories speak for themselves so 5 stars is a definate!! Thanks again Gary for helping me not only pass my test but teaching me to be a safe and confident driver!! Review: I would thoroughly recommend Your Pass driving school. My instructor Gary was wonderfully patient and understanding and made me feel at ease behind the wheel! Very friendly and flexible and the cars they provide for your learning are wonderful to drive. Couldn’t be happier with my experience – thank you! Best driving school ever. Felt relaxed and I could be myself, especially if I was having an off day. Gary was always patient with me (even when I would blame his car for my mistakes). When ever I struggled on something he always had a way of breaking it down so I understood it. I loved the fact that I could chat away and have a laugh while learning to drive. The video links on the website were very handy, thank you so much Gary. I was out for a drive as soon as I got home. Well where do I start at the beginning of my lessons with Gary at your pass I was a nervous wreck with no confidence! 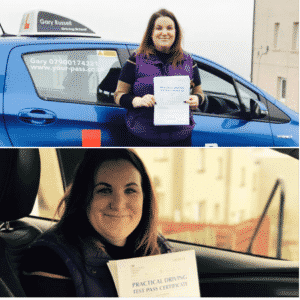 After the weeks spent with Gary’s tuition and support my skills started to develop, Gary really has the patience of a saint and can build confidence in the most nervous of drivers. I’m glad to say I now have my drivers licence and cannot praise Gary enough for his superb lessons. 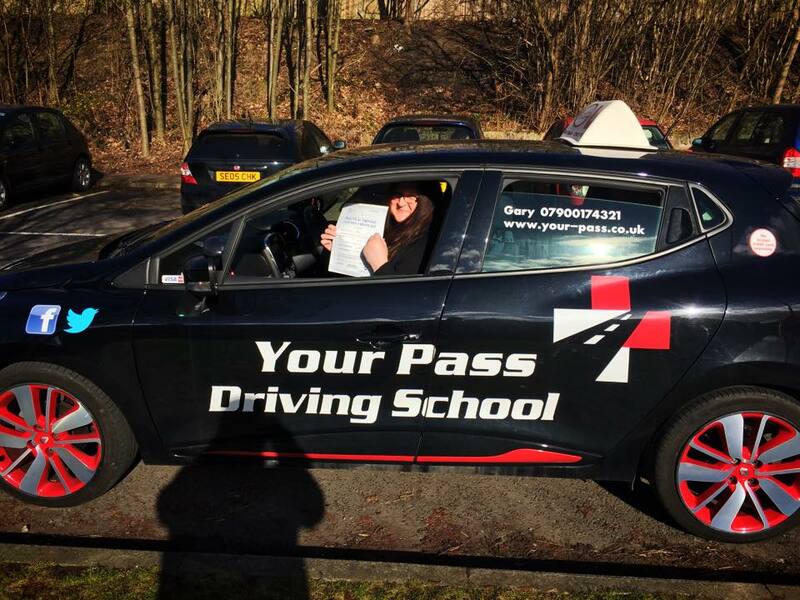 Do not consider any other driving schools you will not get better than your pass!! 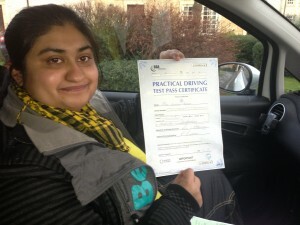 Ya doesn’t speak English as her first language so for her to pass her test on the very first attempt was a credit to her. So proud to have taught her and she now has her freedom! Passed my automatic driving test today, would like to say couldn’t have done it without the expert tuition and endless patience of Gary and Your Pass. He keeps so calm…even when you scrape his wheel off the kerb, sorry Gary smile emoticon !! He tries to get you to figure out how to do things, before giving you the correct answer, he puts you at ease and fills you with confidence. Fantastic instructor, simply the best and would definitely recommend Your Pass to anyone wanting to learn to drive. Thank you again! 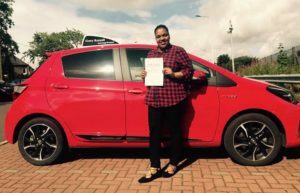 Having had lessons previously I knew that I wasn’t a natural driver and that it would take some time to build up my confidence. 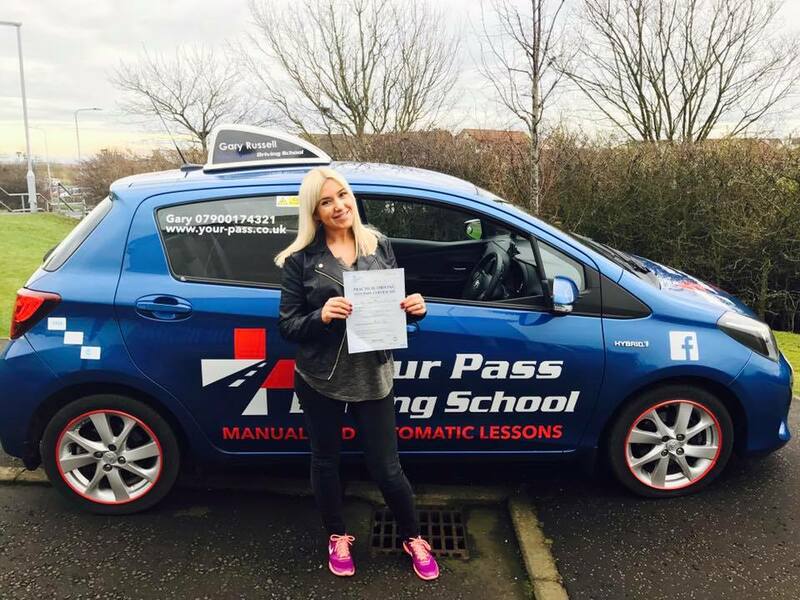 From my first lessons with Derek at Your Pass I felt reassured about what I was already capable of and he enabled me to gradually build on my skills. To go from being such a nervous driver to passing my test first time (whilst 22 weeks pregnant!) was unbelievable and I’m very grateful to Derek for his patience and perseverance with me. Being able to drive will make a huge difference to daily life so I am delighted and I’d be very happy to recommend Derek and Your Pass to others. Thanks Gary for being an awsome teacher even when I complained a lot! I didn’t think I would get to passing at very start but I made it lol…and on my first go! Derek was a great instructor, reliable and a great laugh, would highly recommend Your Pass to anyone! Completed 2 block bookings for my manual test with your pass driving school. Passed first time. Could not recommend your pass driving school enough, especially Gary Russell. One of the best instructors in this area. Easy going, flexible and very understanding, even when a did clip a kerb and damaged the wheel slightly, sorry Gary! All in all a great experience, with a trust worthy and reliable service, and would recommend to anyone looking to do their driving test. I enjoyed my lessons with Derek he was straight to the point and explained when I went wrong and why it was wrong in a lot of detail. He was very good for when preparing for my test as he would pick up saying if it was a fault or not. I have enjoyed my experience with Your Pass. I would highly recommend them to any new learner out there. Michael started his driving lessons with Gary then put them on hold as he was going through his school exams. 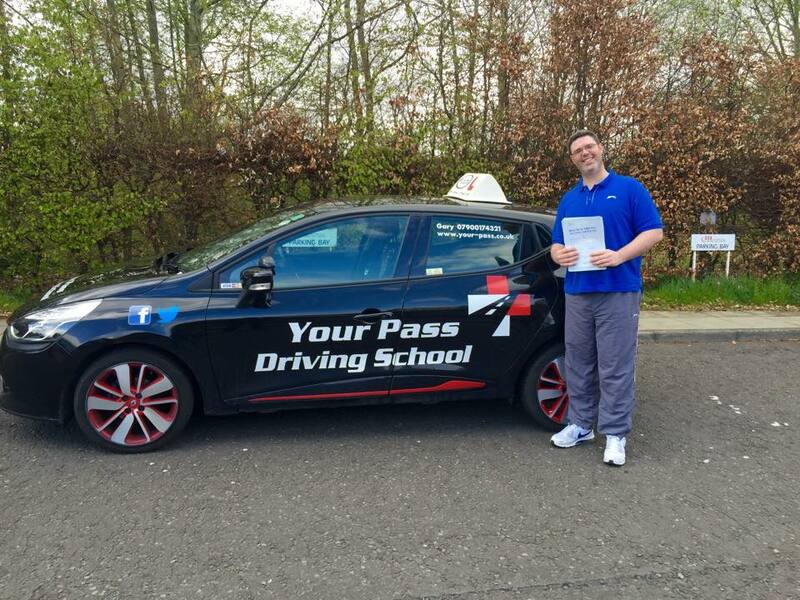 When he looked to return Gary had a full diary so Derek was able to continue on where he left off and then got him ready for his test and as the photo shows he passed his test! Words cannot explain how happy I am to have passed my driving test first time with Gary! I chose Gary because I heard many wonderful reviews about him. He made me feel at ease when I was absolutely terrified to drive. He has brought me so far as I never thought I’d be able to drive. He has such a laugh and banter when on lessons and has a fantastic knowledge of teaching! Gary taught me one of the most important skills in life! I will be forever grateful! I chose Gary as my driving instructor after reading the reviews in his website. I’m so pleased that I did as I found him to be extremely patient and helpful and knowledgable. He made me feel very relaxed. He has a good strategy for helping students pass their test. I would recommend Gary to anyone. 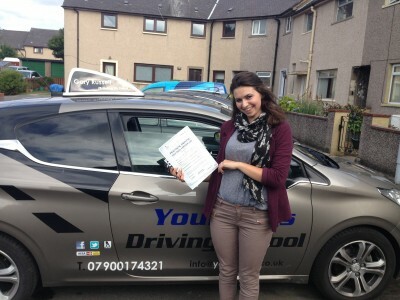 Learning to drive with Derek from Your Pass helped me build knowledge and confidence in driving. Thanks for the relaxed atmosphere and going the extra mile! I highly recommend Gary to any adult driver new to the UK who needs to break bad habits, learn the driving rules of a new country and pass the practical exam. He is very friendly, patient and professional, and makes you feel very comfortable while you’re on the road. Not every instructor is capable of adapting their teaching methods to work with foreign drivers who already know how to operate a vehicle. Gary is able to identify the areas you need to focus on and the changes you need to make to your driving style, and he provides excellent guidance for test preparation. 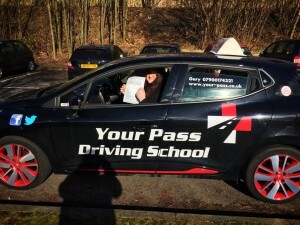 I passed the first time and went into my test with confidence thanks to my time in the car with Gary. Gary, again thank you so much for all your help. Wish I had gone with you when I first started driving but so thankful that I’ve finally passed! I had a great experience driving under your professional and patient style of teaching. Everything I had learned before was totally simplified and made the impossible seem easy. Having not driven for about 2 years to passing my test within ten lessons is a huge achievement for me and anybody I know looking to do lessons, I will send them your way. Gary is a very good instructor, he prepared me to pass my driving test and to be a safe driver. I will recommend him anytime and anyday! Thank you Gary so much for everything. I passed today because you made driving relaxing and fun and I won’t hesitate to tell everyone. Can’t recommend you enough and I really appreciate the help with everything!! Thanks so much Gary for your support and great understanding with me all through my lessons. You gave me all the push I needed to obtain my license. You made driving an easy experience for me. Thanks very very much. I would definitely recommend friends to your pass driving school. 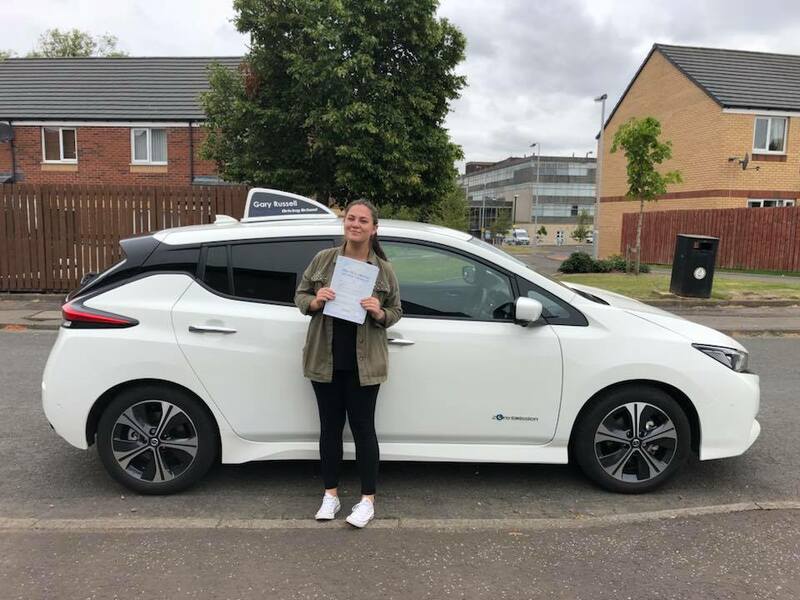 Zarina passed her test on her first attempt – with only 3 minor faults – English isn’t her first language but she was a great learner and had an amazing result. So pleased for her. A huge thank you to Gary for getting me through my test! I have learnt to drive on and off for 8 years with Gary being my 3rd instructor. 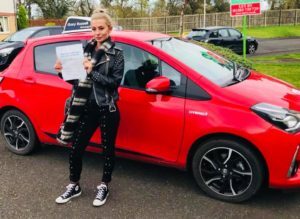 His calm, fun and easy to understand methods have made me not only pass my test but confident to drive on my own and with my toddler! I cannot recommend Your Pass enough. I came to Gary as a nervous wreck in the car who couldn’t even reverse around a corner without ending up on the other side of the road! And now that manoeuvre is my favourite one to do.. I think that in itself is a great example of how good he is at his job! He is patient and has the perfect balance between knowing when to have a laugh and when to be serious. As a person who has a very short attention span this is the perfect combination for me! I highly recommend Gary to anyone who needs driving lessons! I would highly recommend Gary at Your Pass. I have had a couple of previous instructors and Gary put me most at ease. I never really enjoyed driving until I started with Your Pass, and it wasn’t long until I passed my test. I can’t thank Gary enough. Words cannot describe how happy I am that ive finally passed my Driving test and become a Full licence holder, Thanks so much to Gary Russell at Your Pass Driving School 5 star instructor that he is, and his good banter! See you for pass plus mate! Once again Thanks. I’d like to say thanks to Derek for getting me through my driving test successfully, your pass were the third company I have used and by far the best. Derek kept me motivated and put me in an excellent position to pass first time. Thank you!! Thanks to Derek for all his expert help and tuition on my driving journey so far. Thanks very much your pass, it’s an excellent driving school with professional and well trained instructors. Your pass driving school is a great and distinct driving school which compares to none in my experience. My instructor Gary was calm, cool and collected. He teaches with great passion and experience and his video clips are very helpful. I will recommend him to anyone who will like to pass his test first time. Gary, thanks so much for all your help in getting me through my driving test. You’ve been an exceptional instructor, always patient and calm, always full of great ideas for improving techniques. You made sure of my understanding at all times, rather than just telling me things. Most of all, you are so enthusiastic about your job and committed to getting your students their licences! Gary is a great driving instructor. Very laid back but very professional at the same time. Great motivator, flexible with lessons and test dates. Knowledgable and always willing to help. Highly recommend to anyone. Learning to drive with Gary was fantastic! I had previously enrolled with Bsm and was disappointed with the not only in the instructor but also the car. This lead me to search for a new instructor. I came across Your Pass through Google, and am extremely happy with them. Gary has been amazing and encouraging throughout. I felt 100% comfortable with Gary from the beginning and don’t think I could have found a better instructor. Thank you so much! Outstanding driving school!! Value for money. 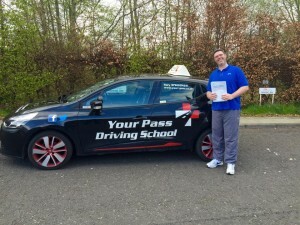 Gary – the Owner of the driving school is a kind honest person who points out your strenghts and weekness also explains all aspectes of driving in and out of the car and prepares you for the U.k Driving test. Which is the goal at the end. Going to use Your Pass Driving School in 5 years for my son !! Would lyk to give derek a big thanks for heling me pass my driving test and would also recommend derek and yourpass to any one wanting to take lessons! Thanks gary! Didn’t think it was going to be a pass haha! 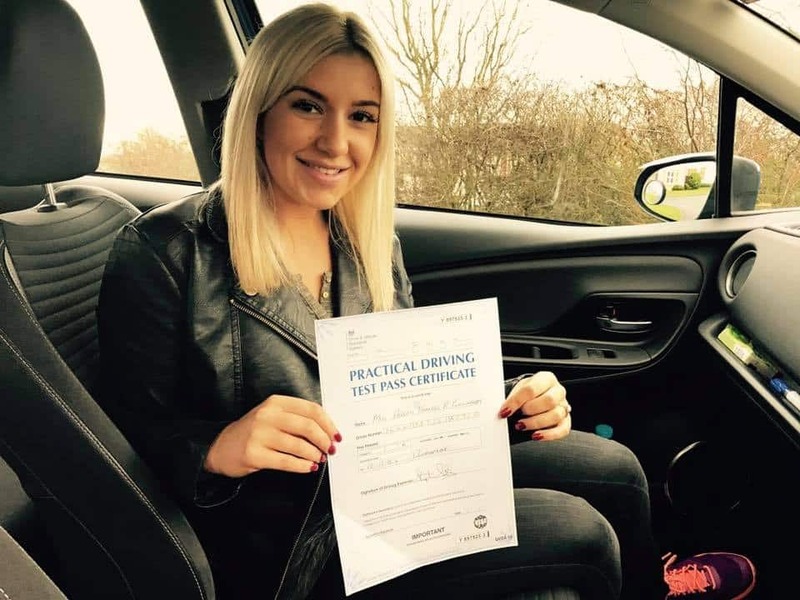 Brilliant driving instructor, good at helping you progress quickly and the effort that has been put into the website is really good and very helpful. Will send anyone looking to pass your way! 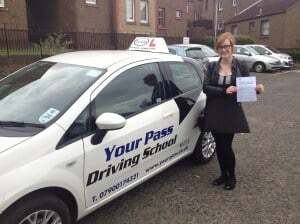 Well done to Kerry who passed her test with only 4 minors, very well done! My experience on learning to drive with my instructor was certainly an exciting one! I was always looking forward to learning how to drive and thoroughly enjoyed being taught by Derek, enjoyed our good chats, fantastic experience! I would highly recommend Gary as an instructor to anyone looking to sit lessons. He is not only an amazing teacher, but his banter is fantastic, and he really goes out of his way to help you. I’ve never met an instructor who puts as much heart into his work as Gary does. Thank you so much again for helping me to pass my test. Learning with Your Pass and Derek was really good, he helped me out a lot and always had a funny a story to tell which helps makes the lessons more fun. I would highly recommend Your Pass to anyone learning to drive, thanks Derek for all your help, passed with only 3 minors!! Gary is an excellent instructor, he is patient and develops new techniques to help the individual learn, he’s persistent and his advice paid off! 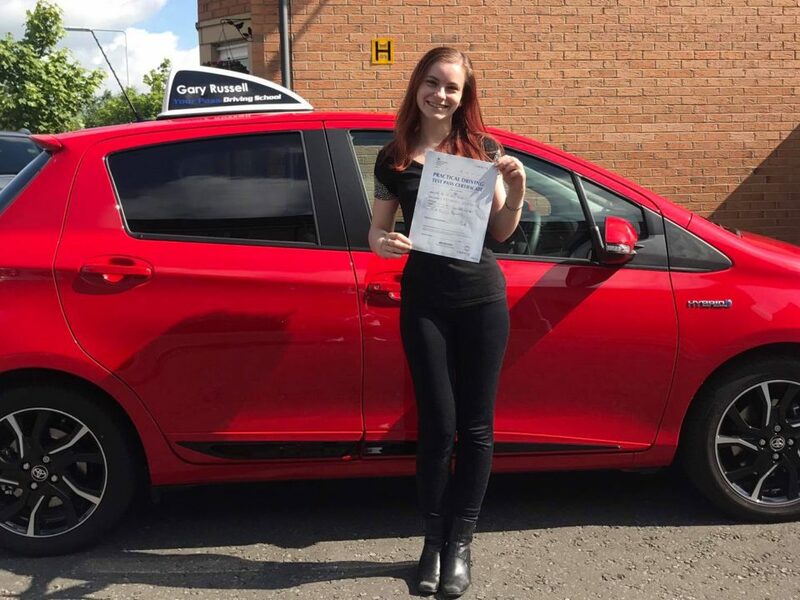 I had a driving instructor before Gary who I failed with twice because he wouldn’t help with the reverse park (parallel) but as soon as I stepped into Gary’s car and told him I struggled with the technique I was shown Gary tried a different technique with me and it worked, cheers Gary! 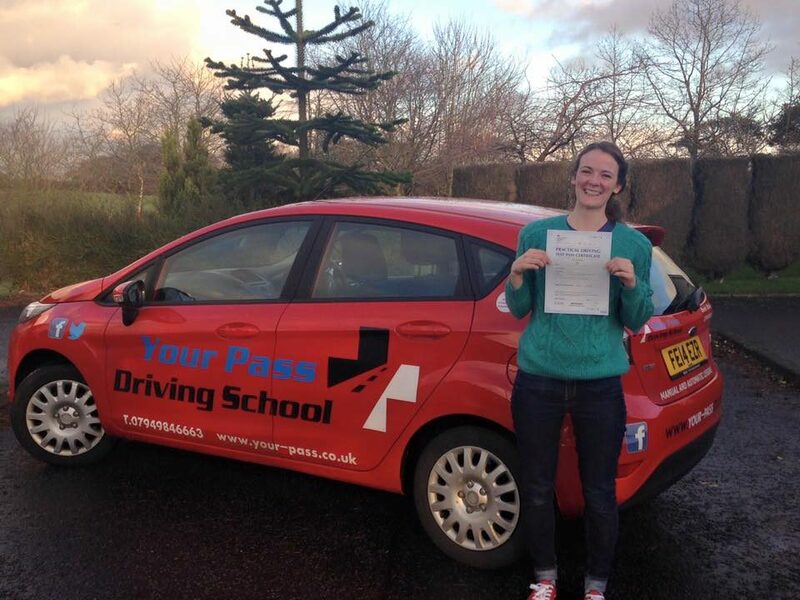 Another success learner passed their test with Your Pass Driving School thanks to Derek! Very good instructor, very patient, wouldn’t have passed without Derek’s help, enjoyed every lesson, now on the way to Anstruther for a fish supper driving my own car!! Gary is a fantastic instructor. He makes you feel completely at ease from the minute you get behind the wheel, is very patient, great teaching technique and awesome chat to boot! I’d highly recommend Your Pass for everyone; if you’re a first time learner or have tried (and failed) with some else. Driving lessons with Gary were brilliant, very relaxed. A lot of other instructors don’t give you much conversation and make you feel more nervous. Looking forward to Pass Plus next! Yasmin passed her test first time no trouble at all. 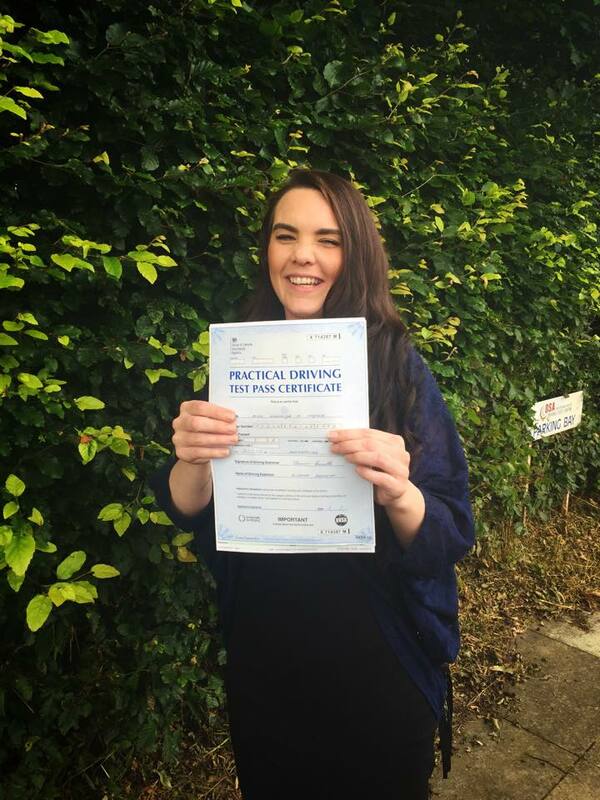 2 Minors – such an amaxing drive! Very pleased as she has her own car which will make getting to college and back a hell of a lot easier! Well done chick. Thank you so much for all your help, this will make such a difference to my life. My dogs will love you for it!! Would just like to say thanks so much! Gary is a fab instructor, like so good. Great chat and makes driving seem easy! Brilliant banter and just such a good teacher! Sally passed in the Automatic car with Gary and had only one minor fault. 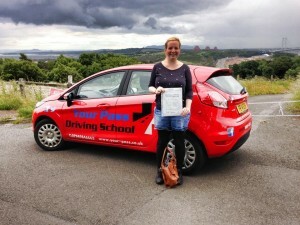 This was a truly excellent drive, well done Sally, see you soon for the Pass Plus course! So proud of May passing her driving test today. English isn’t her first language so this really is quite an achievement. Massive congratulations! my friend was being taught by gary, he said lessons were relaxed and really enjoyed them. access to videos online massive bonus helped massively, would definitely recommend your pass, thanks very much. I found Gary to be a great instructor. His calm and friendly approach put me at ease from day one and meant I really enjoyed my lessons. I had never been behind the wheel before and learned everything there was and passed first time! Thank you Gary for all the laughs and good lessons and getting me through my test. You made me at ease which made me at ease which made me less nervous about learning to drive. I would highly recommend you. You will be missed. Ps we need to have that guitar jam session soon! I felt more relaxed when doing driving lessons with derek.he made me feel at ease a needed to pass first time for my work and derek made me more relaxed and confident and was delighted when a passed. “Gary’s perseverance, patience and expertise were invaluable towards me successfully passing my test. 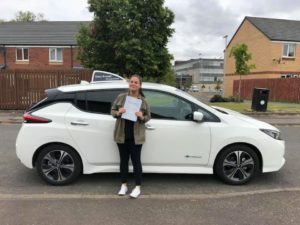 The quality of his tutoring, using modern technology, made my lessons informative and left me with a good understanding of different techniques used in driving. I found Gary to be an excellent driving instructor. I found myself well prepared for my test. He’s very good at talking through any mistakes, why they happened and how to sort it. Cheers Gary. Learning to drive with Your Pass was such a pleasure, Gary Russell is really good at teaching and very patient and I have to say some top notch banter as well. I felt 100% prepared for my driving test as Gary had helped me to perfect any issues I previously had. I have had 3 instructors and can honestly say Gary was the best. 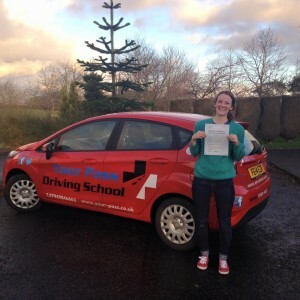 Claire passed her test with Your Pass Driving School after failing with another instructor. She adapted to the car well and found sucess. Now another happy customer! 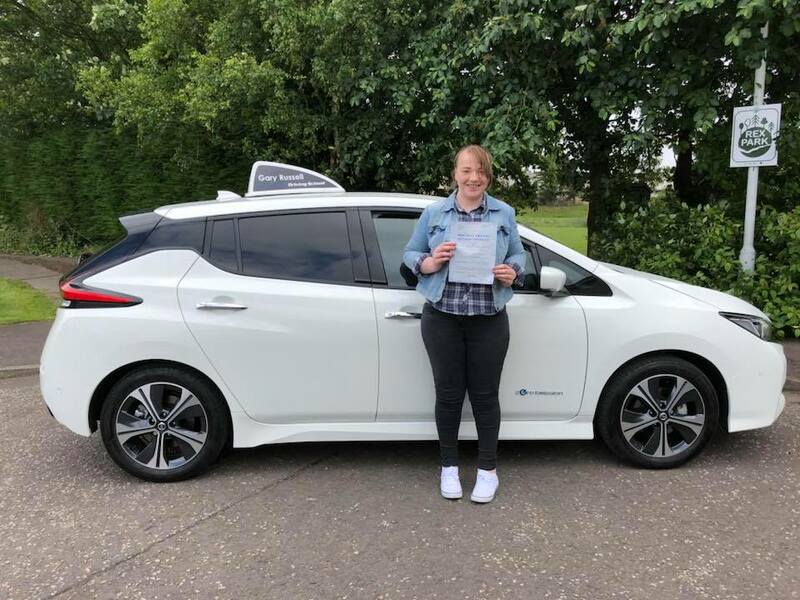 Chen passed her driving test in Dunfermline, this is a massive achievement for anyone but when you don’t speak English it must of been so much harder. She studied hard on her driving lessons, along with Chinese translation tools she mastered it and I couldn’t be more proud. Very very very well done! I found learning with Your Pass Driving School exremely enjoable. Gary is fun, relaxed and very professional. His learning strategies simple, easy and effective. 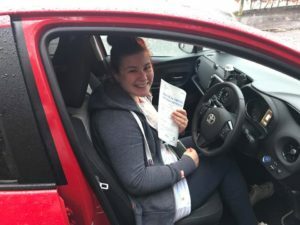 I had great fun learning to drive with Your Pass and I am comfortable in the knowledge that I have been taught the skills to be a safe driver. I would definitely recommend Your Pass. Steph did very well to pass her test with having to fit lessons in around university and working part time. Well deserved and happy driving! Gary Russell from Your Pass Driving School is an excellent driving instructor who takes the time to explain every part of the driving process in a calm and relaxed manner. Ideally I was looking for a Grade 5 driving instructor (not all of them are in the Dunfermline area) who could help me to iron out any problems with my driving and reassure me of my strongest points when my confidence was low and Gary didn’t disappoint. 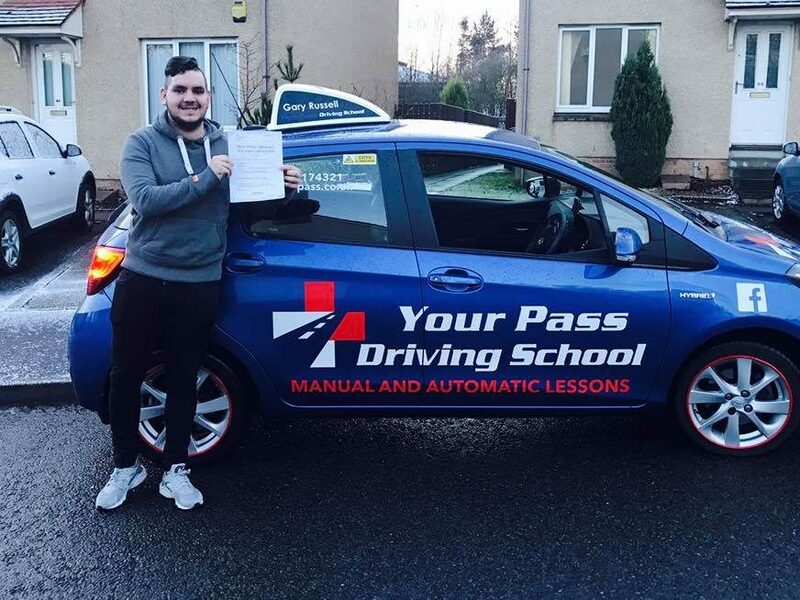 He’s a fantastic driving instructor and I wouldn’t hesitate to recommend Your Pass Driving School to anyone who is looking for driving lessons in the Dunfermline area. If you’ve failed before, like I did, give Gary a call! Kenny required very few lessons. From his first time in the car it was obvious he would pick up the controls with ease. 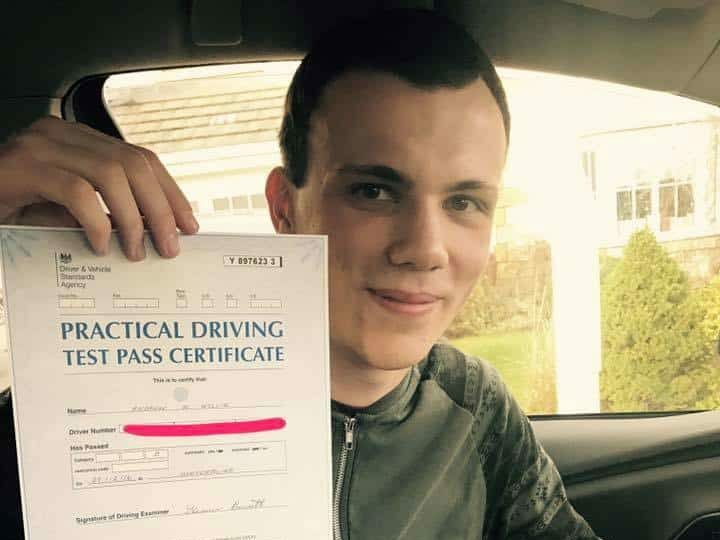 He passed his test first time with only a few minors. Very well done mate. Safe driving! I really enjoyed learning to drive with Gary. It was like being with a friend. He was very professional, fun and he is observant to little things about you when driving that could ease the pressure of learning. For me it was putting stickers/sharpie marks on the windows and drawing pictures of maneuvers. Sounds silly but it works! It was nice being able to drive at my own pace and not feel worried about the roads. If I had a certain problem when driving Gary would take the time to help and guide me through it and try and find a way to make me feel confident about it. A few of my friends are learning to drive with Gary and my friend and sister have previously passed when learning with him. I passed my driving test first time and i would highly recommend learning to drive with Gary. Thank you so so much! Gary really is a first class driving instructor. I found Gary really professional yet friendly and he made me feel so at ease. I always felt relaxed and calm in lessons and really enjoyed them. I would definitely recommend Gary to anyone learning to drive. I couldnt have asked for a better instructor. Passed first time! Woo Hoo! Thanks Gary. 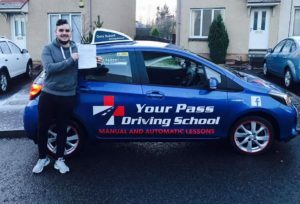 Shane tried calling a few different driving schools in dunfermline after having no success with shields, ezydrive refused to allow him the chance to sit the test if he wasn’t going to be doing lots of lessons, after an initial assessment drive it was clear Shane was very able. 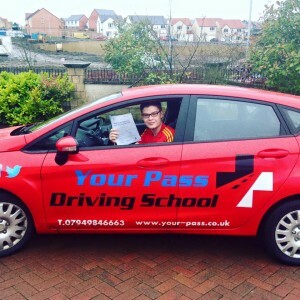 He sat is test after only 3 lessons with Your Pass and sailed through his test no problem. Excellent work Shane, as for the other schools – you can learn from this – everyone deserves a chance! 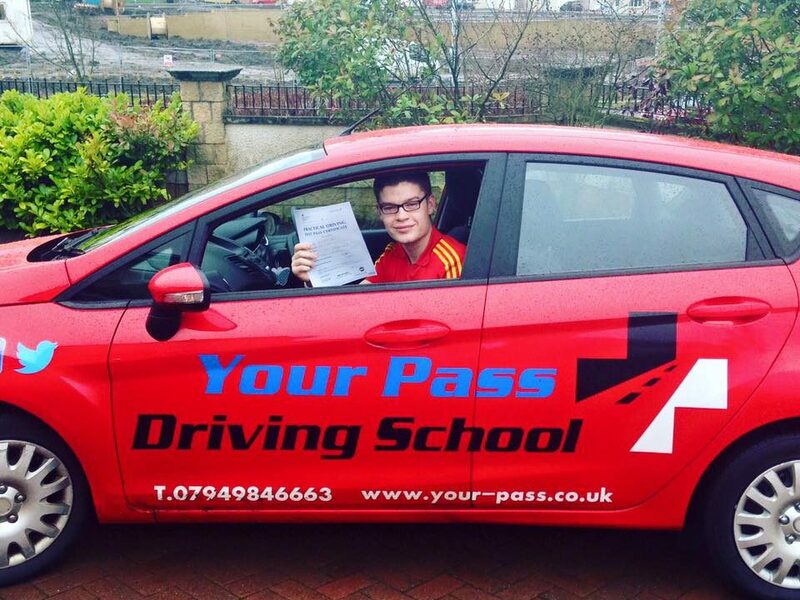 Would definitely recommend Gary from Your Pass, great banter, great teaching and got me through my test no problem! More feedback from the guys before I started taking their photo!! 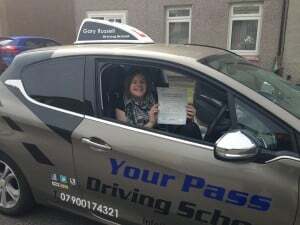 Gary was a very good driving instructor he made learning to drive easy and was a very pleasant and patient instructor and ì would recommend him to all anew drivers, thanks Gary. Gary was a very friendly instructor and made learning easy and fun. Would highly recommend! I’m now an unsupervised driver, many thanks to Gary Russell who showed me the ropes. Pints will be heading your way mate. Gary is an excellent driving instructor! Very patient and made learning easy. I have taken lessons before and found the manouvers difficult to learn but Gary was able to teach them to me in an easy way that even i could understand! Passed first time with only 4 minors and would definitely recommend. Gary is an excellent driving instructor when times are challenging his calm persona makes it easy to learn. Plus he’s got eyes like a hawk but the voice of an angel lol, Would highly recommend, passed first attempt. I changed driving instructor as I thought I was getting nowhere. When I moved over to Gary he had my confidence up on the roads in a matter of weeks! Was never negative, was very friendly and always made things simple for an effective learning experience. Learning to drive with Gary is the easiest way to learn a difficult thing. Patience and a friendly attitude to both teaching and attention to detail make every aspect of the learning experience seem easy. His genuine character and positive attitude builds great confidence in what you are doing with zero stress factor. When he tells you you can pass your test, you will know to be confident that you can. I passed first time and I recommended him to friends. What better way to advertise him as an instructor. 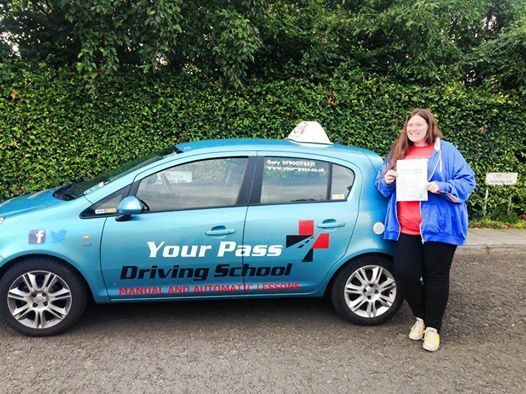 Thanks Gary and best of luck for the future..
Amber passed first time no bother, she was a great driver from the moment she started with me. Safe driving. 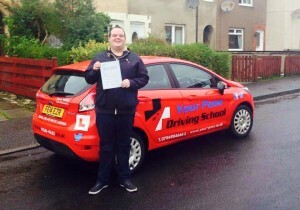 Damien only had a few lessons and passed his test with ease. Well done mate. 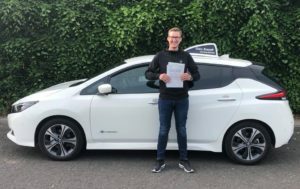 Whilst sitting driving lessons Stuart bought his own car, a car he once admired as a boy a while ago and decided to sit his test in that with great success, well done Stuart, safe driving. 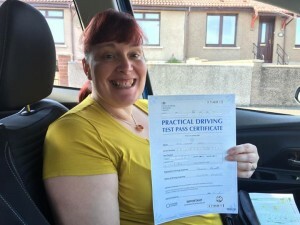 Mel sat a semi intensive course before passing her test. Now she is enjoying her freedom and her brand new car. Very well done. Paul decided it was best to sit his test after a weeks intensive course with me. 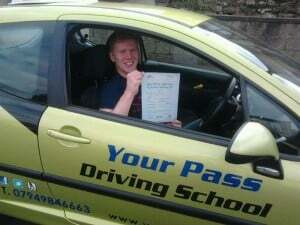 Although it can a lot to take in Paul managed to pass his test now has his freedom. Not only is Gary one of my best mates, he is by far the best instructor I could’ve asked for. 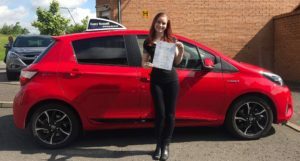 He made learning to drive a pleasurable experience and filled me with confidence to finally pass my test. Anyone I speak to in regards of learning to drive I can’t recommend him highly enough. With his simple approach to driving and his use of today’s technology he really is the best instructor out there, Thanks again Gaz. Jim had driven all his life before being banned from driving and was told he would need to pass an extended test before he was allowed on the road again. With a lifetime of “bad habits” Jim had a very difficult task in getting his driving up to the standard of not only today’s learner driver test but going that extra mile and passing the more expensive and demanding test. Jim put the hours in and had the right attitude from the beginning. His hard work paid off when he passed with only a few minor faults. Well done and try keep hold of your license this time!! Claire passed her driving test with only 2 minors, very impressive result. 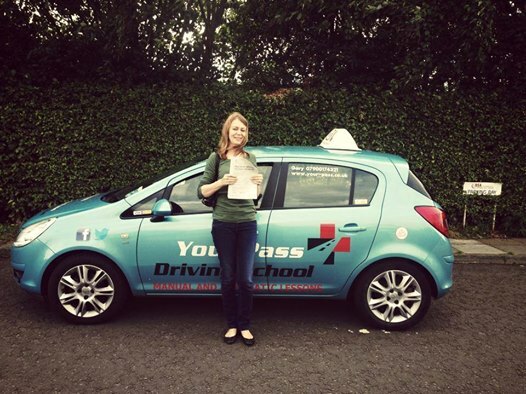 Claire worked hard on her lessons and managed to pass with flying colours. Very well done. 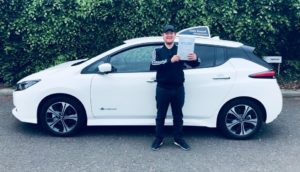 Gary is a fabulous instructor……I passed first time, this wouldn’t have been possible without Garys calm nature and never ending patience with me!!! I would highly recommend Gary, a great instructor!!! (I doubted I could carry on many times but Gary continued to encourage me!! Highly recommend, gary fantastic driving instructor and great car to learn in. Gary is very patient with his learners and always makes sure they understand all the info he gives them. Gives u great confidence on all the things that may scare u on the roads. Have recommended him to friends and will do again in the future. 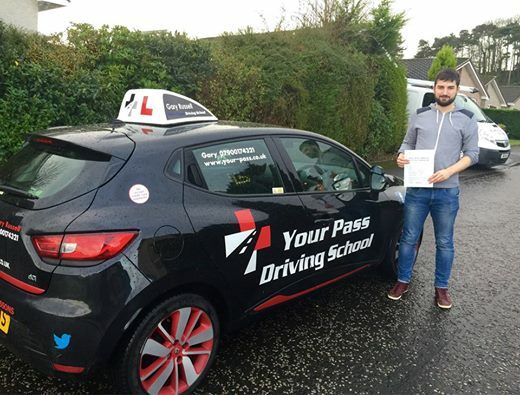 Sami managed to pass his driving test despite struggling with his English. A credit to the hard work he put in. Well done mate. Firat passed in the new car with ease, adjusted well, no problems. Well done Firat. Gavin passed his driving test and went on to complete the pass plus course showing skills on motorways etc, Safe driving Gavin. Got a wee car so driving about now, thanks for all your help, great job! Tell us how you feel about your lessons with Your Pass!